Are you scheduled for a physical therapy treatment? Whether it’s you or your loved one, being able to prepare for it can be a great advantage towards full recovery. 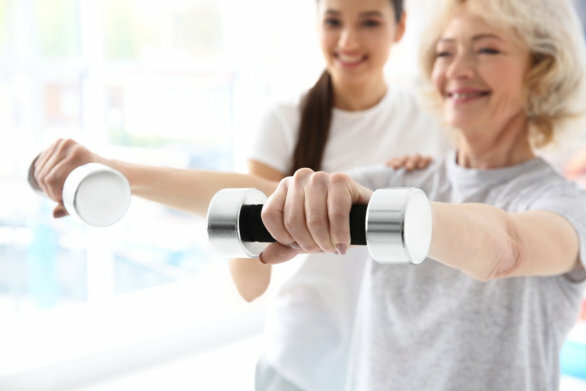 However, when you’re getting physical therapy services from a home health agency in Ohio, you’re in for a better and more familiar condition since the therapy can be administered at home. As a first-time physical therapy patient, there are certainly concerns that you would want to be clarified with. Your physical therapist can answer these for you, but to ensure that you’re covering all the bases, write your questions ahead of time. This way, you can also make notes of the answers provided to you by your healthcare attendant. Your physical therapist will interview you about your medical history as this can give them a clear overview of how to proceed with your therapy. When your documents are ready, you can provide accurate information so that together, you can work towards an attainable therapy option for your condition. Prepare a note of your pain symptoms like these can also be helpful items to inform your healthcare provider. They may be able to address these during the therapy or recommend better options when it’s outside their bounds of expertise. In listing down the symptoms, take note of the frequency of their occurrence, at what time of the day they’re felt, and what activities can relieve or worsen them. When it’s your first time to meet with your physical therapist at home, it’s ideal that you have someone with you when interacting with them. The other person can help you keep tabs of the details provided by the therapist providing home health services in Columbus, Ohio, while at the same time assisting you in giving the right answers to their questions. While it’s possible that your therapy session will not directly begin on the first visit, as this time can be dedicated to creating your care plan, it can also possibly begin on that day. It’s better to dress up loosely so that you will have better movements in performing the routines. You can also ask the therapist for clothing suggestions, which are ideal for the therapy activities that you’ll be undergoing. How do you look forward to your first-ever physical therapy? Whether you feel a bit nervous or somehow hopeful of your recovery, you can trust that these therapists providing home health care in Columbus, Ohio are on your side. They will work with you to ensure that the recovery or regaining of your physical capability can be attained. Our team of physical therapists at Columbia Home Health Care is highly qualified in providing these therapy treatments at home or in your location of care. Feel free to contact us if you’re interested to learn further. This entry was posted in Physical Therapy and tagged Medical History, Pain Symptoms, Prepare Questions. Bookmark the permalink.